Our customers have saved a lot of green (hay and money) with our feeders! You can save a lot of your valuable time too! 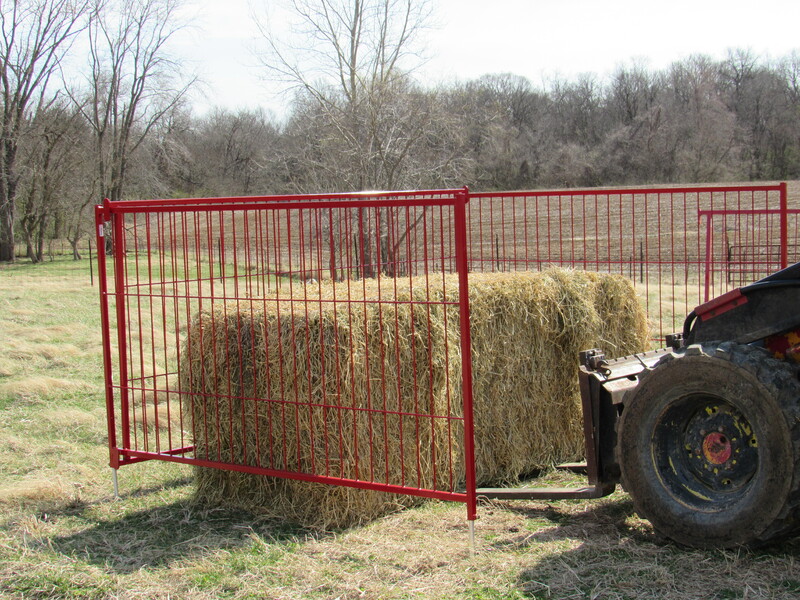 The Collapsible Big Bale Feeders are available in two sizes—the 6 1/2’ x 6 1/2’ for round bales or the 6 1/2’ x 8 1/2’ for large squares/rectangular bales. 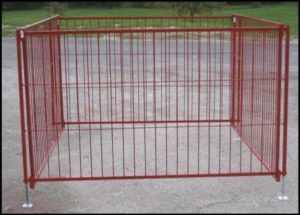 These feeders are easy to set up and can be easily moved if needed. 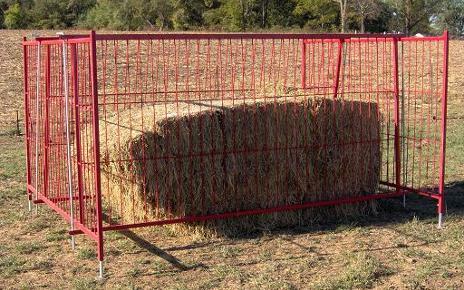 Hay panels interlock together and only one panel needs to be removed to place a new bale of hay into the feeder. 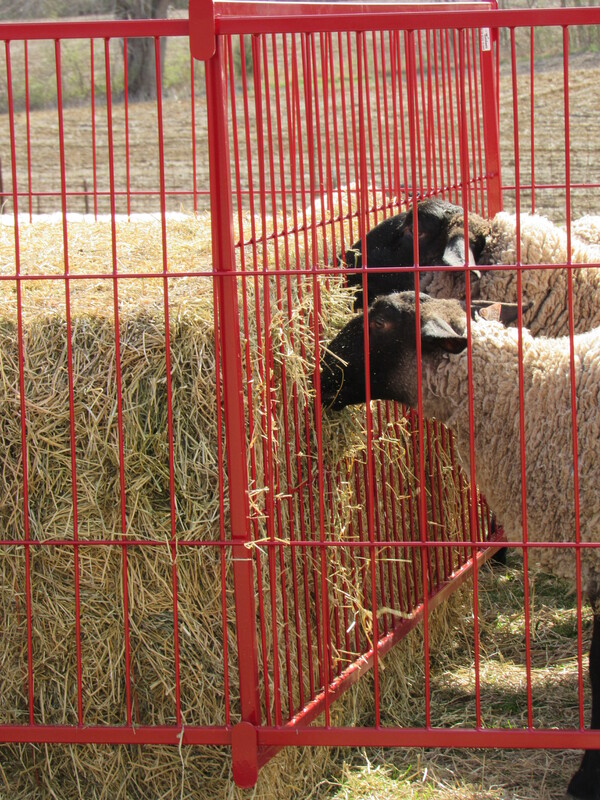 As sheep and goats eat the hay, they have to eat the entire face of the bale before they can slide the panel in any further. 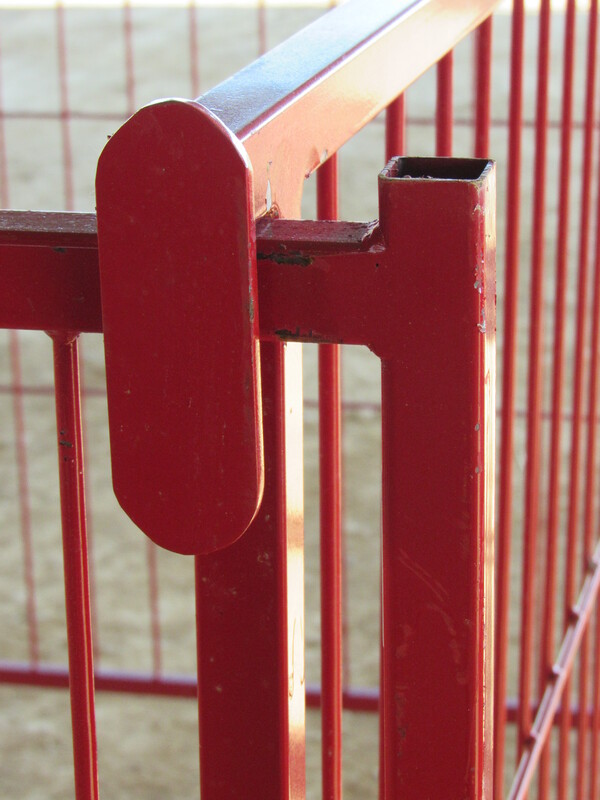 With rods welded on 3” centers, only the nose/muzzle of the animal can reach through the openings which prevents heads getting stuck, babies being crushed, and prevents the animals from wasting a lot of hay. The feeder has adjustable legs and can be adjusted to prevent animals from getting inside of the feeder. Animals will not be walking on or using the hay as a bathroom. The bale can be set on a pallet to help keep the hay dry. 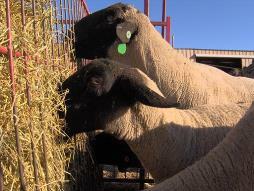 With the bale being set on ground level, the bale cannot fall on or crush animals. This feeder has also been built/redesigned to feed cattle, donkeys, and exotics. 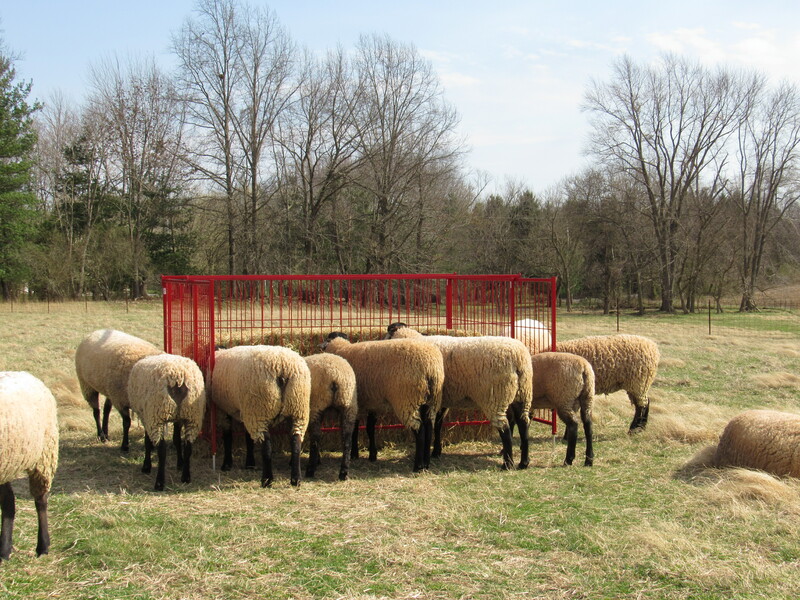 We have manufactured these feeders for over 20 years—sheep and especially goat producers love them! Ketcham’s Kustomers will tell you how awesome these are! 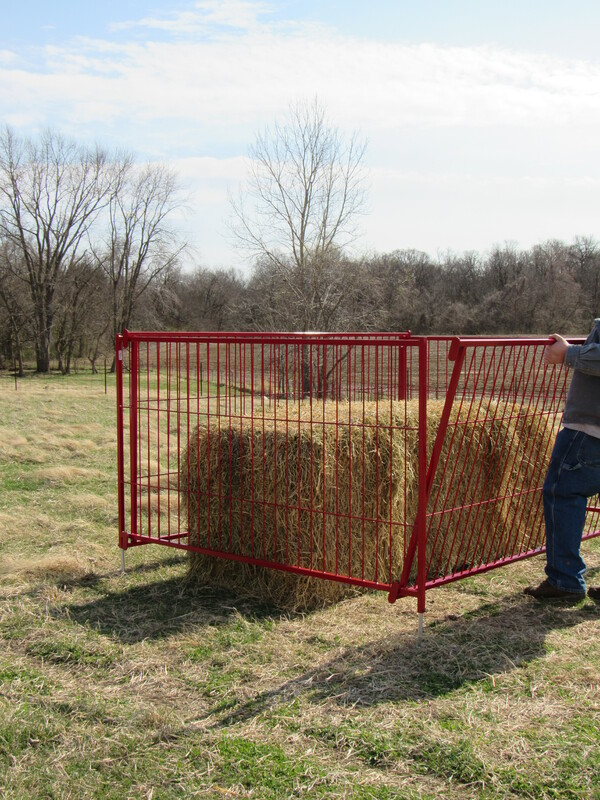 Save on some green and try one of our bale feeders! 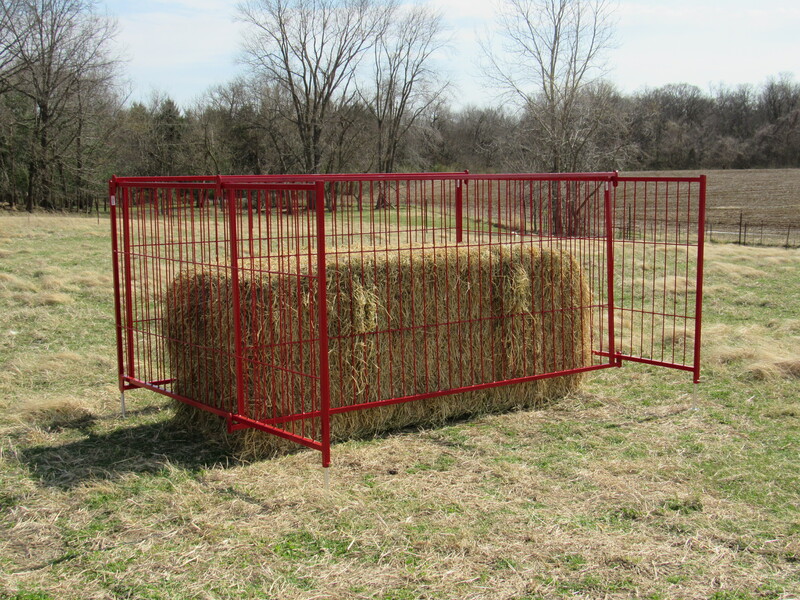 Thank you for the ratings and comments to make this is a 5 STAR rated Collapsible Big Bale Feeder! When I bought this my Dad thought I was crazy. We have other collapsing large bale feeders that waist a lot of hay and get a lot of vegetable mater in the wool. But when he actually started using there is almost NO wasted hay on the ground you can’t even tell we had a bale there. The reduction in waste alone is going to save us so much it will pay for itself in one winter. 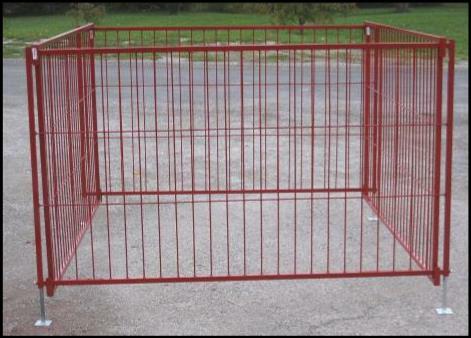 I am going to have to get another and a couple of the small bale feeders for my creep pens. Thank you Laura for your comment. 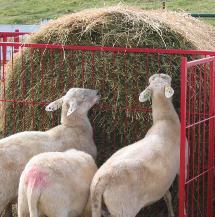 We are happy to know you are satisfied with your feeder and that you are saving hay (and saving money)! We are thoroughly impressed with our feeder after having it now a year. Little waste=big savings! Here is a link to a review video I made on the big bale collapsible feeder we own. Great video! Thank you for your comment and video! We liked the first 2 we ordered so much that we just ordered another. 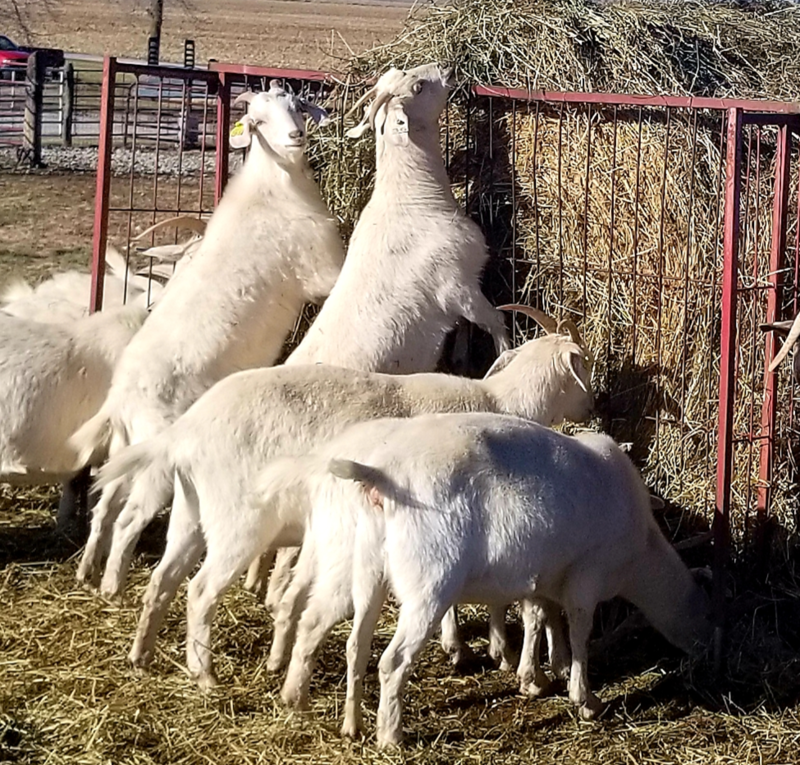 We use with our Boer goat herd and it works great, very little waste. 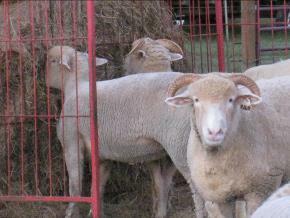 In the past I’ve purchased big bale feeders that have been blue, red and galvanized silver. About 6 years ago I purchased a Ketcham Big Bale feeder and to this point, with daily use, we have no broken welds, no bent rods, and lambs don’t get into the bale or get trapped (will send pictures if you want to see it). Because of my disappointment with other brands weaknesses, I came back to the one I’m confident in for dependable, safe, longevity of service. We’ve just purchased two new big bale feeders to replace the galvanized ones that cost me money. You get what you pay for and you won’t go wrong with these feeders. I have many “red” Ketcham products and I’m very pleased that I made those decisions. I will continue to buy “red” because of personal experience of product performance. I have had this feeder 2 months and love it. Normally I need a new bale every 4 weeks. Since I bought this we have only used up half a bale of hay. This feeder will pay for itself by the end of the year.